The world as we all know it is gone - most of the people have died and buildings and infrastructure have disappeared. Murderous bands are roaming and no place seems to be safe. Emma has been accumulating children - trying to protect them and keep them healthy, but she knows they can only make it for so long. When she sees the chance to join an honorable camp of men she jumps at the chance. She doesn't count on falling for the leader - falling hard. 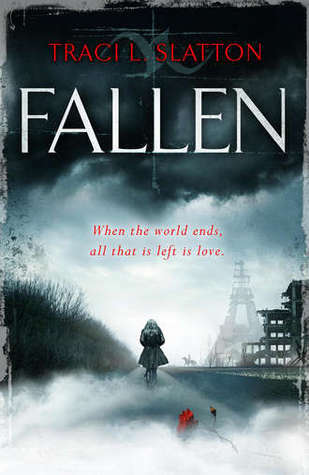 Fallen details the beginning of their relationship and has a ton of world building. I love character and world building so this was a really big plus for me. On the flip side, I don't know how I like Emma or Arthur right now. Both kept very very big secrets from each other - life changing secrets.